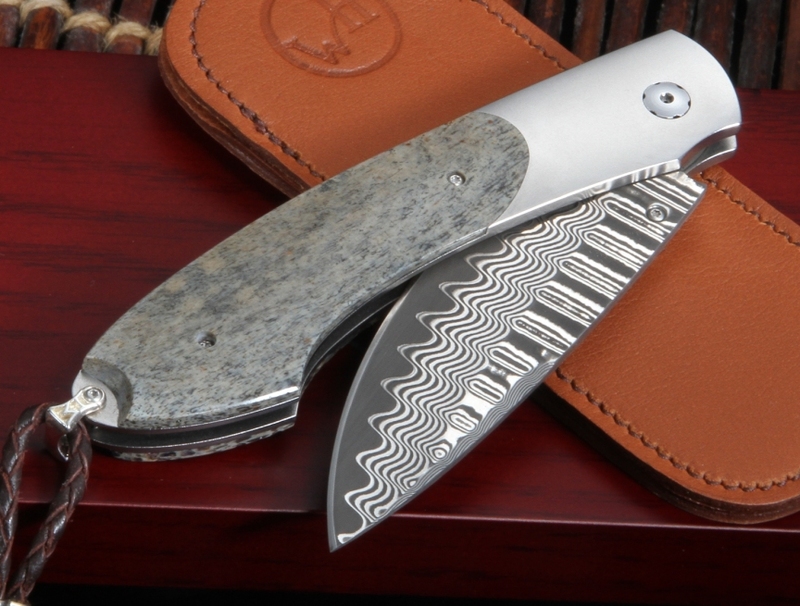 The William Henry B12 TMW has an amazing wave pattern damascus blade and premium fossil mammoth bone handle scales. 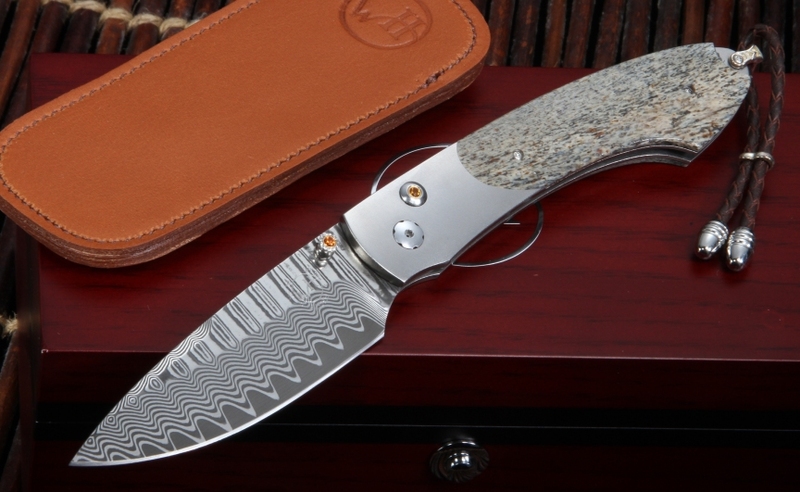 The damascus blade has a cutting edge of outstanding ZDP189 steel. The thumb stud and button lock release are inlaid with spessartites. 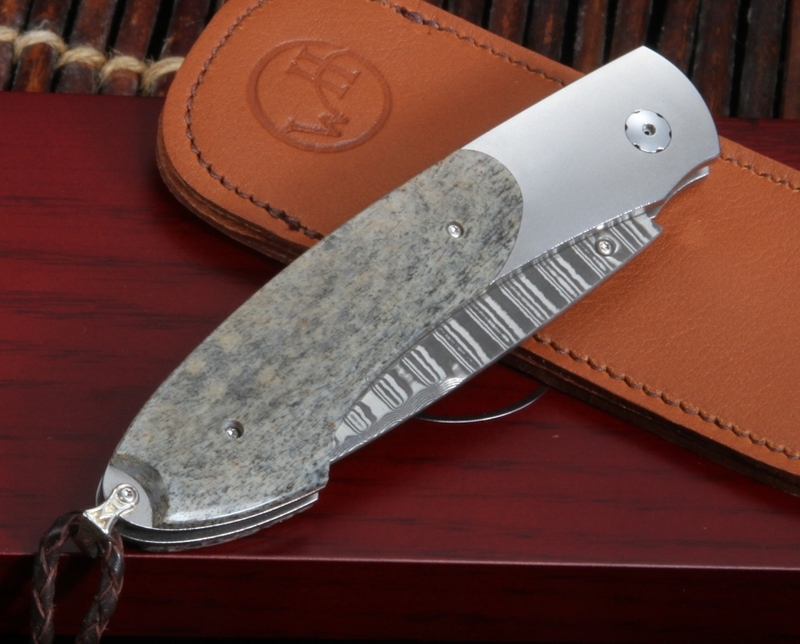 The B12 TMW spearpoint model comes with a nice brown leather clip case. The William Henry knife comes with a dark wood presentation box and certificate. 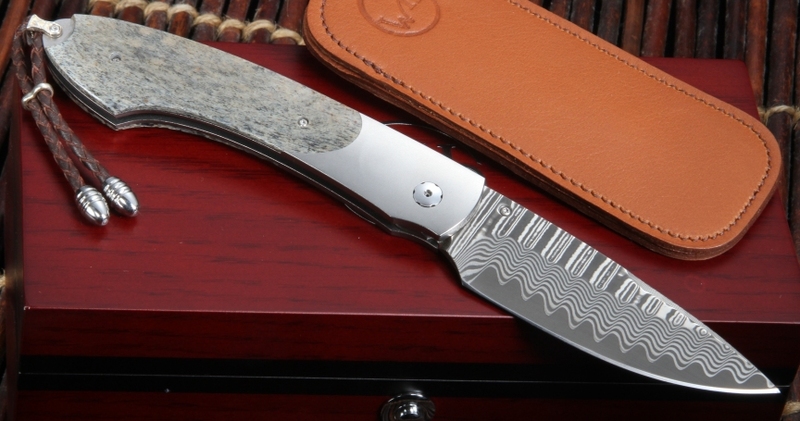 Then B12 TMW is a limited edition of 500 individually numbered knives.